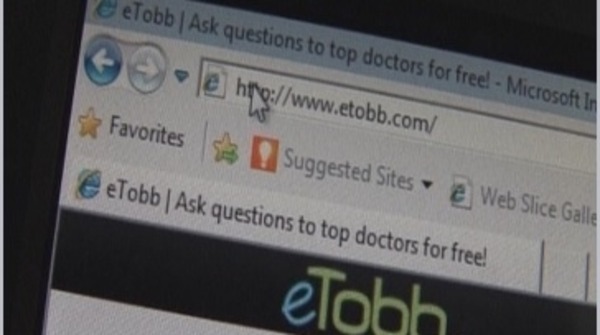 Users of the online medical portal etobb.com can now access advice specifically relating to the Ramadan fast. The Lebanese founded website, which aims to connect doctors and patients around the world, now carries a 'Question and Answer' section for Muslims, who fast from dawn to sunset during the holy month. So far doctors have answered Ramadan related questions on dietary issues, as well as more medically specific questions related to blood transfusions and kidney dialysis concerns. The website which was launched last year provides information in both English and Arabic. It aims to help improve access to health information in the Arab world as well as enabling users to communicate directly with health practitioners worldwide. Chief Executive Officer of the website, Paul Saber, said he and his three co-founders identified a demand for accurate healthcare information online. “People want more medical information, and they are using the internet more and more. The website is very useful to them because now they can communicate with doctors and know more doctors around them that they can go and visit later. For example, I used to live in Saudi Arabia, I came to Lebanon and I didn't know which doctor I should go to. I used to call the hospital, they would tell me there is this doctor 'x,y,z' and we would go to visit him. Now, on etobb, you can see the complete profile of the doctor: where he studied, worked and what is his speciality. You can ask him questions and see how he answers other people so you can feel more comfortable with him and go see him in the end,” said Saber. In its short life the website has signed up thousands of users and hundreds of doctors, Saber said. 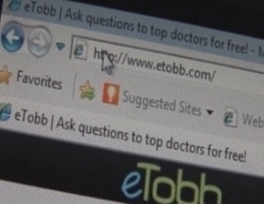 “Now on etobb we have more than 500 doctors, mostly from Lebanon covering 32 specialties and they answer the people's questions on a daily basis. There are more than 15,000 users for the website and they have asked more than 5000 questions so far and the doctors answered them all. People who ask the questions are asking to get medical information instead of searching on Google and yahoo. Here on etobb they have a way to communicate with a doctor and get an answer from a specialised doctor on their question,”added Saber. The four founders first attracted investment in August 2012 before reaching the semi-finals of the MIT Arab Start-up Competition in December. The company now employs a translator, a web developer and a team of salespeople, said co-founder and Chief Marketing Officer Sara Helou. The site is free for users and derives its revenue from sponsorship and advertising by healthcare companies, Helou added. Users can either access an archive of previously answered questions or post a new question. A guarantee of anonymity means many of the questions relate to intimate issues that many people are uncomfortable discussing face to face with a doctor. “Most of the questions on etobb are about health, and how to reduce weight, about cancer and chronic diseases, these are the most things, there's also a lot on sexuality, and other issues like children, birth, and gynaecology, we get a lot of questions on these too,” said Helou. One user, Lebanese Rekan Nemr, was impressed with the speed at which his questions were answered on the site. “When I first heard about it, I found it strange - will doctors really answer? So I visited the website and asked a question, less than a day later, a doctor directly answered me, I asked for a second opinion, another doctor answered me too. So I really liked the experience, when I have a question, I go to the website and search, and almost all the time I get a true answer from a well-known doctor or another,”said Nemr. Adnan Mroueh, a doctor specializing in obstetrics and gynecology and former Lebanese minister of health, praised the wider social and financial benefits of the website. “We need to pass on health advice to citizens in general, because this ultimately makes a saving on insurance companies, the (Health) Ministry and it saves on medical bills, that increase with age,'' said Mroueh. For the hundreds of doctors that have signed up, the site offers the chance to increase their online visibility and connect with colleagues as well as attract new patients.